To tell the story of spice, is to tell a story of travel and adventure, of family and community. At Spice Kitchen our story started in Eldoret, an agricultural Mecca lying south of the Cherangani Hills in western Kenya. And even now, as a small family-run business, it’s funny to think how some of our spices span continents. Grown by our family in Kenya, spices are shipped straight to our tiny spice kitchen in Birmingham, UK. The way we see it, spices not only take your home cooking to the next level, they can transport you to other worlds. But it’s the untold story of spice that intrigues us most. 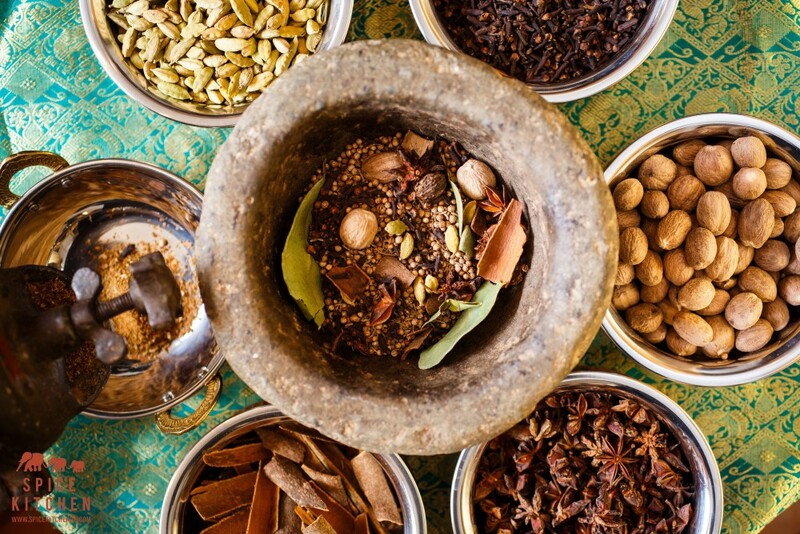 The health benefits of spice are the lesser-known mysteries of Indian cooking. For centuries, spices have been used to fight heart disease and cancer, reduce inflammation, and much much more. Our perennially-spritely, ever-experienting head spice oracle Mrs A is a prime example of the sanctity of spice. She is the head of our family - no doubt there! - she’s also the brainchild of Spice Kitchen. The Guardian newspaper and celebrity chefs including Anjali Pathak and Dhruv Baker are just a few of the people who have praised her spicy knowledge. Here, she shares the untold benefits of Indian spice. Turmeric comes from the root of Curcuma longa, a leafy plant in the ginger family. You may recognise it for its mildly aromatic quality and for its pungent, bitter and earthy taste. Turmeric is also the king of fighting cancer! It has been used in Ayurvedic medicine for centuries upon centuries. Its polyphenol curcumin content can help negate the growth of cancer cells of prostate cancer, melanoma, breast cancer, brain tumours, pancreatic cancer and leukemia. Cinnamon comes from the inner bark from the slim young stems of a tropical evergreen tree, which is part of the laurel family. You’ll recognise cinnamon for its sweet, woody fragrance, either ground or whole. When it is broken or ground, the volatile oils are released giving off their warm, sweet, aromatic and pungent flavours. Its sweet-spicy flavour enhances vegetables and fruit and is an important ingredient in garam masala. Cinnamon is also a nutritional wonder spice! Its antioxidants can help fight diseases such as cancer, Alzheimer's, diabetes, and Parkinson's. Useful in reducing tumour growth, it blocks the formation of new vessels in the human body. And in making a great natural food preservative, cinnamon is also a source of iron and calcium. Great read, I love both spices but didn't know how beneficial they are. Thank you for enlightening me.